franchise will be a Kids' WB! Presentation, and will open in theaters throughout North America on November 12, with distribution in the rest of the world to follow. The announcement was made today by Sanford E. Reisenbach, Warner Bros. Executive Vice President of Marketing and Planning. "Pok�mon The Movie: Mewtwo Strikes Back" was produced in Japan by Shogakukan Productions Co., Ltd. When the film was released there last summer, it became the fourth-highest grossing film in Japan for 1998. "Pok�mon The Movie: Mewtwo Strikes Back" is an epic adventure featuring the debut of new, bio-engineered "Super-Pok�mon," whose powers rival those of the existing creatures, creating exciting new plot twists and turns. The new Pok�mon appears in this film for the first time in any format; it cannot yet be seen on television or in any video game. For the upcoming release of the film, the producers are adding a new musical score. "The Pok�mon storyline combines a variety of appealing characters that not only entertains kids but reinforces teamwork and cooperation," stated Mr. Reisenbach. "The interest and fervor for Pok�mon, by both boys and girls, is incredible. 'Pok�mon The Movie' is family entertainment that everyone will enjoy." The Pok�mon phenomenon began in Japan as a game for Nintendo's Game Boy portable video game system before capturing the attention of America. Its huge popularity prompted the creation of a Pok�mon television series, which became a tremendous success in Japan. The phenomenon spread to the United States, where Nintendo has now sold more than 2.8 million units of the game, topping industry sales charts. The "Pok�mon" TV show now airs in the U.S. in syndication and on Kids WB!, where it has emerged as the #1 kids' program. In addition to the video games and TV show, Pok�mon continues to entertain millions of fans all over the world with a best-selling toy line, a hugely popular card game and a multitude of licensed products. "'Pok�mon the Movie' will bring these popular characters to an even wider group of viewers, who will learn for themselves what makes Pok�mon red-hot," said Alfred Kahn, Chairman and CEO of 4Kids Entertainment, the company authorized by Nintendo to hold the rights to the movie, television series, home video and merchandising. "We are thrilled to be in business with Warner Bros. and Nintendo in both the television and motion-picture rollout of Pok�mon." Pok�mon is set in a fantasy world populated by 151 different imaginary creatures called Pok�mon, each possessing unique, special powers or abilities. In the Pok�mon environment, human beings act as Pok�mon trainers, capturing as many of the creatures as they can. The Pok�mon then join the trainer's team and help capture other Pok�mon, enabling their human companions to become "Pok�mon Masters." In the feature film, Ash Ketchum, accompanied by his friends Misty, Brock and Pikachu (a favorite, electrically charged Pok�mon), continues his quest to become the world's greatest Pok�mon trainer. The challenge is greater than ever when Mewtwo, a bio-engineered Pok�mon, creates a strain of Super-Pok�mon and sets the stage for the ultimate Pok�mon battle. A 22-minute short subject, "Pikachu's Vacation," will precede the feature. In addition to Mewtwo, four brand-new Pok�mon will appear in "Pikachu's Vacation." Pok�mon Pinball Rumble while you ramble in an all-new scramble to catch 'em all! Pok�mon Pinball challenges Pok�mon Trainers with a whole new way to catch all 150 Pok�mon. To become the world's greatest Pok�mon Trainer, players have to catch and evolve Pok�mon by playing pinball. Portable pinball has never been like this, though, because Pok�mon Pinball is the first Game Pak from Nintendo with a built-in rumble feature. As your Pok� Ball bounces around the table you'll be able to feel the impact as the cartridge sends jolts through the Game Boy and into your hands. Want the best Pok�mon collection around? You'd better have a tight grip. All of the pinball action takes place on either a Blue or Red table, where Pok�mon are used as obstacles and bumpers. The targets on the tables are straight from the Pok�mon universe, and instead of a metal ball you use a Pok� Ball to rack up points. You can capture all 150 Pok�mon by hitting targets and earning high scores, but some Pok�mon will only appear on a Blue table or a Red table, just like the original Pok�mon games. Every captured Pok�mon automatically appears in the Pok�dex, and rare Pok�mon will begin to appear as you earn higher scores. The Pok� Ball can be upgraded to a Great Ball or a Master Ball, which is crucial equipment for Trainers who are serious about catching all 150 Pok�mon. You'll have to find hidden bonus stages to maximize your score, which can be saved and transformed into stickers by using the Game Boy Printer. There's no need to brag when you have your high score printed on stickers -- that's undeniable proof of your pinball power. Pinball is fun no matter how you approach it, but when you put Pok�mon and pinball together you've got one of the most addictive Paks around. Pok�mon Pinball is currently shaking things up on store shelves, and is backwards compatible with all pre-existing Game Boy units. 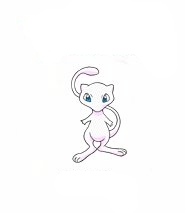 Pok�mon 2.B.A. Master - Music From the Hit TV Series. Who needs Britney Spears when you can rock out to the Pok�mon 2.B.A. Master soundtrack? This jammin' CD, scheduled to release on June 29, features the Pok�mon theme song, Pok�RAP and 10 new songs that will debut on Pikachu's Jukebox, a new segment on the WB TV show beginning September 4, 1999. The CD booklet folds out into a collectable Pok�mon poster, and the enhanced CD contains the bumpin' Pok�RAP video that would give Will Smith a run for his money. Tell your parents not to worry, because the Pok�mon 2.B.A. Master soundtrack is suitable for Pok�mon collectors of all ages. Since each CD contains a $15 Nintendo Game Boy rebate coupon, you don't have anything to lose. Get your eardrums ready, because the party starts on June 29, 1999. Here is a list of the track titles: Pok�mon Theme 2.B.A. Master Viridian City What Kind of Pok�mon Are You? My Best Friends Everything Changes The Time Has Come (Pikachu's Goodbye) Pok�mon (Dance Mix) Double Trouble (Team Rocket) Together Forever Misty's Song Pok�RAP You Can Do It (If You Really Try) For more information about this CD, and to listen to some sound bites, visit kochint.com/pokemon.html. I WANT YOU IN THE POKEMON LEAGUE!